The Residence Brehova is located in a Jewish Quarter or simply Josefov. It is a small district surrounded by Old Town. Until 1850 it used to be called Jewish Town, earlier even Jewish ghetto. Jewish Quarter dates back to the 13th century and today it is a well preserved complex of important Jewish buildings. 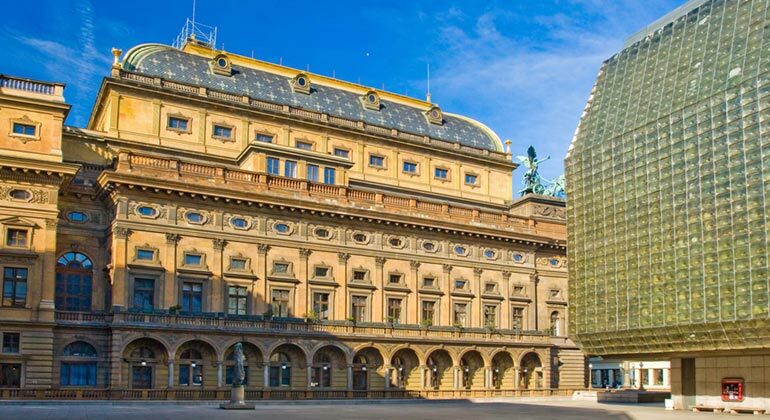 Rudolfinum, built in 1876-1884, is architecturally one of the most important buildings in Prague. 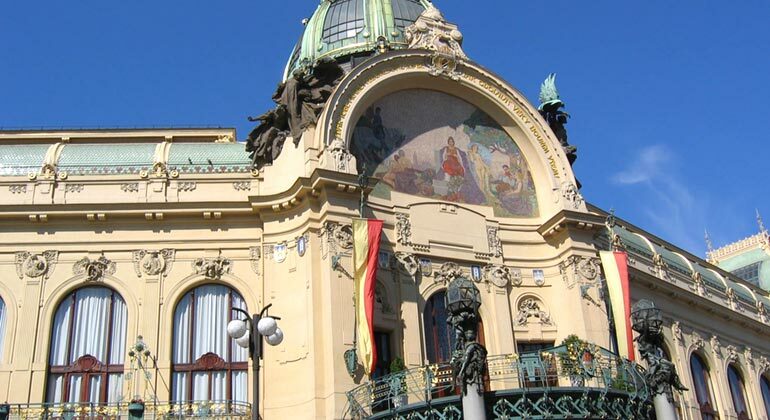 For more than 130 years it has served as a concert hall and gallery. 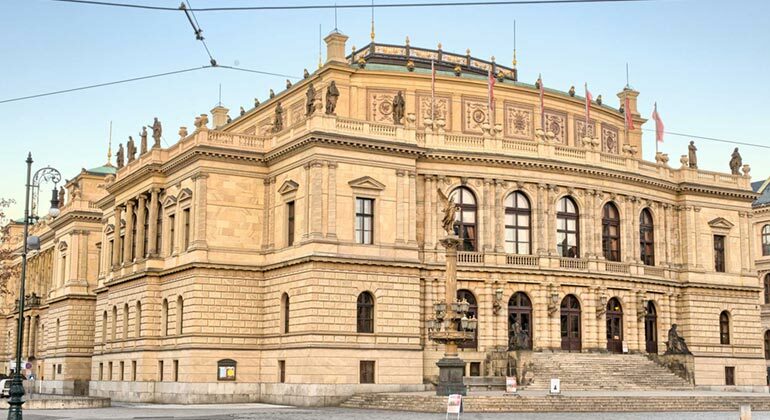 It is the main concert venue of the famous Czech Philharmonic. 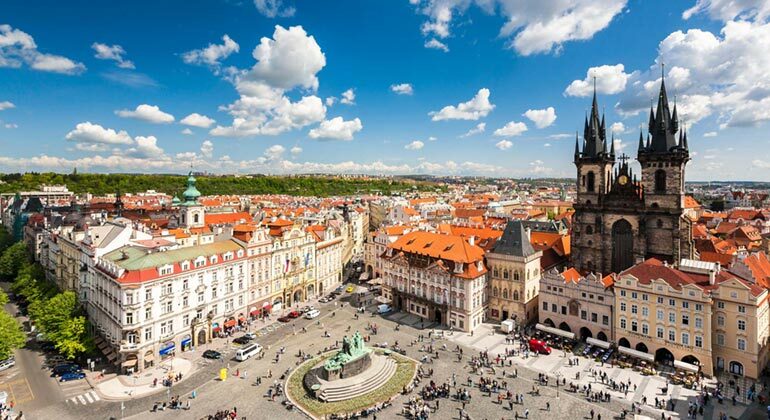 Old Town Square is the oldest and historically most significant square in Prague. Its origin dates back to the 10th century. The square used to be a marketplace at the very important crossroad of European trade routes. Here you can find Prague's major monuments – the Old Town Hall with the world's unique Astronomical Clock built in 1410 or the Tyn Church, 80 metres tall iconic church from the 14th century. 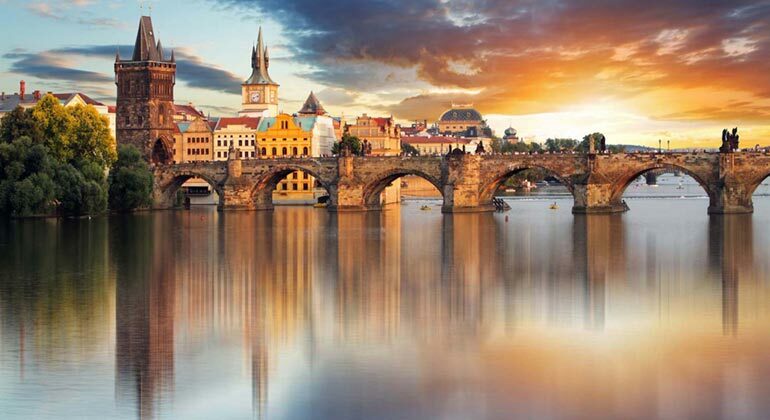 Famous Charles Bridge is the oldest bridge over the Vltava River and one of the most visited sights in Prague. Its construction started in 1357 under the shield of King Charles IV and was completed in 1402. The bridge is 1690 feet long, composed of 16 arches and also decorated with 30 stone sculptures. Three bridge towers are built at both ends of the bridge. Lesser Town is a district that lies below the Prague Castle on the left bank of the Vltava River. It is connected with the Old Town by the Charles Bridge. 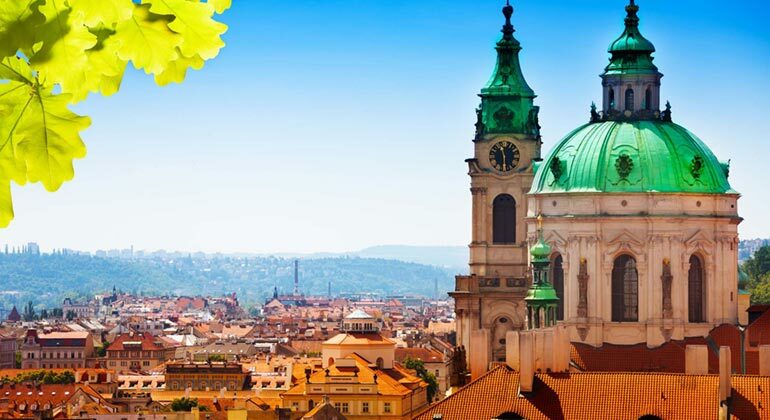 There is a large number of notable buildings and interesting places – such as Kampa Island, the baroque Church of St Nicholas, Petrin Hill & Tower or a large complex of beautiful gardens which are great for relaxing and enjoyng the wonderful views. Wenceslas Square, formerly known as a 'Horse Market', is a 700 meters long square, the largest cultural and business centre of Prague. It has witnessed many important historic events, huge celebrations and demonstrations. 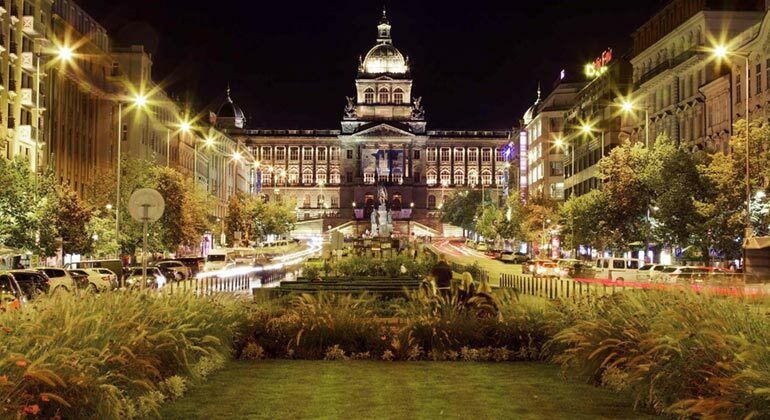 Famous for its vibrant nightlife, Statue of Saint Wenceslas or National Museum. 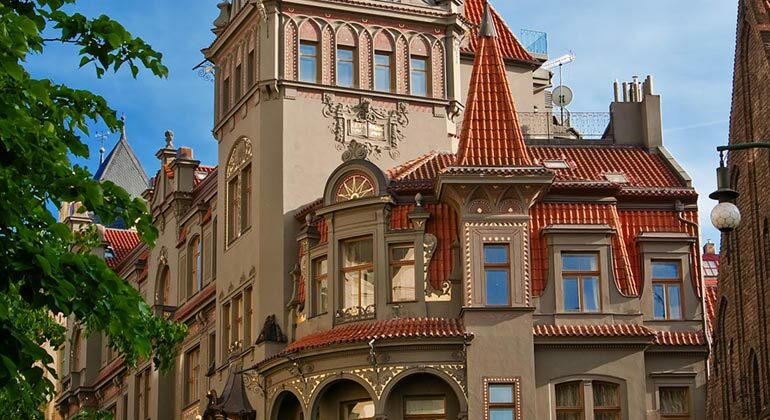 Probably the most famous Art Nouveau building in Prague. Its construction began in 1905 and was finished in 1912. It stands on the Republic Square next to the Powder Tower. Today it serves mainly for representative purposes. 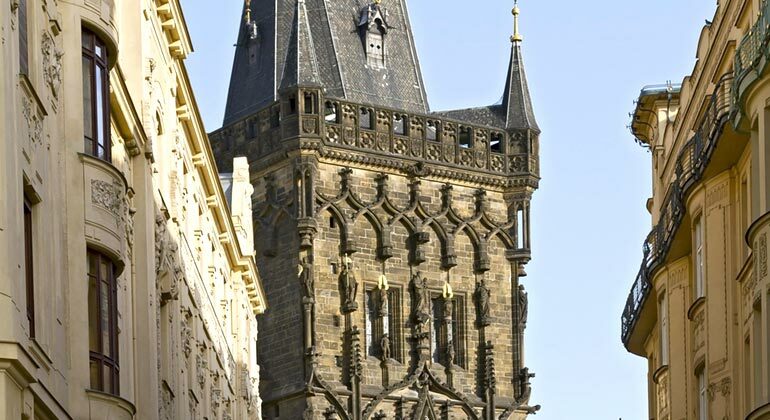 Powder Tower (or Powder Gate) is one of the most important monuments of medieval Prague. It used to be the beginning of the famous Royal Route to the Prague Castle. This late gothic gate was built in the 15th century. The National Theatre is the most important theatre of the Czech Republic. It was built from the national public collection and was open in 1881 for the first time. After a devastating fire, the theatre was open for the second time in 1883. It has noble exterior and interior decorations which attract especially with their rich gilding. It contains masterpieces of the best Czech artists of the 19th century. 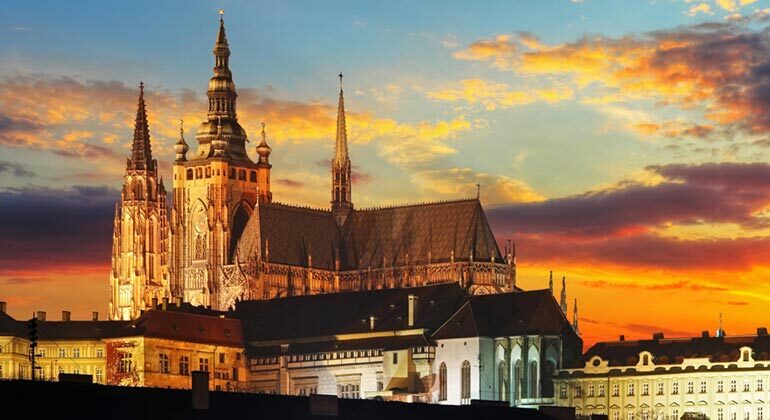 Prague Castle, the largest castle complex in the world, is the traditional seat of Czech monarchs and presidents. It is proudly overlooking Prague since the 9th century. The St. Vitus Cathedral with its more than 300 feet tall Bell Tower is a dominant visible from almost everywhere.